But are you willing to pay almost $100,000 for it? SO YOU LOVE Jurassic Park. But do you love it enough to hand over a sizeable chunk of your hard earned Euro for an original prop from the movie? Currently going for a song on eBay at the low, low price of $99,900 is the velociraptor cage from the first Jurassic Park film. 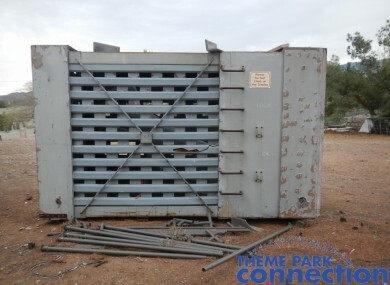 The starting price was a mere 99c when the cage was originally put up for auction ten days ago, and with eight days left to bid it’s looking like this will become a very expensive piece of movie memorabilia. Not only do you get the very attractive crate, the seller has thrown in a full size velociraptor prop too. The only catch? You’re going to have to fly out to Los Angeles to pick it up. We know. Such a pain. Email “You could own the original velociraptor cage from Jurassic Park”. Feedback on “You could own the original velociraptor cage from Jurassic Park”.